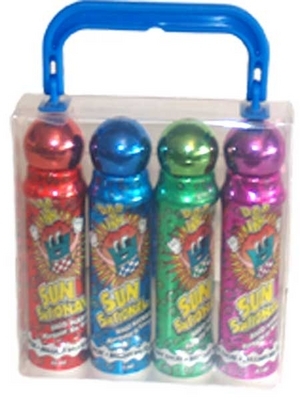 Both 1.5 oz and 4 oz. 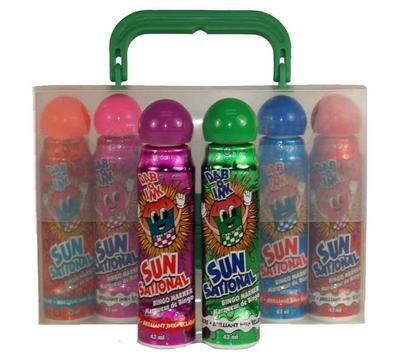 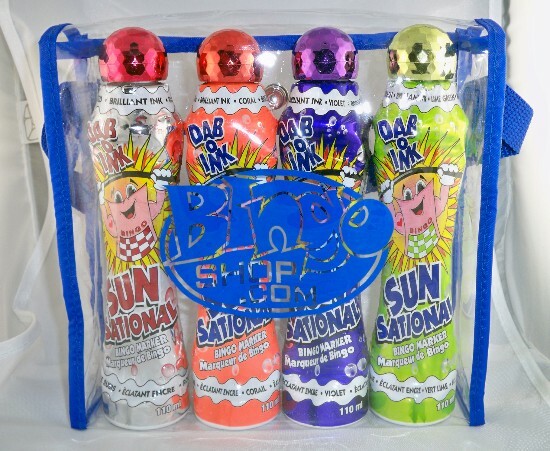 Super Bright Bingo Markers and SunSational Markers are available in our popular gift packs. 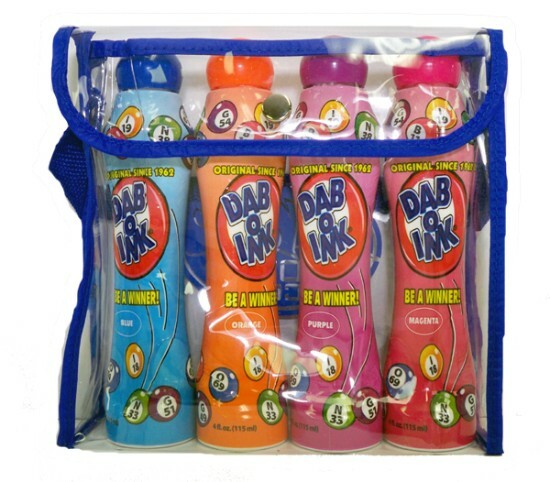 Gift packs come in Plastic Totes. 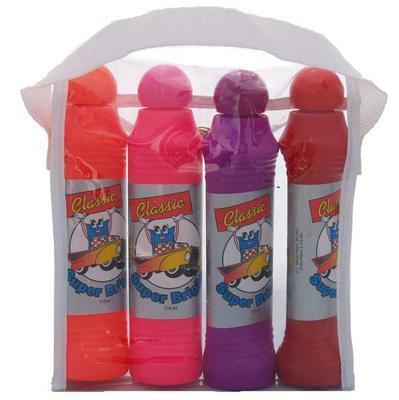 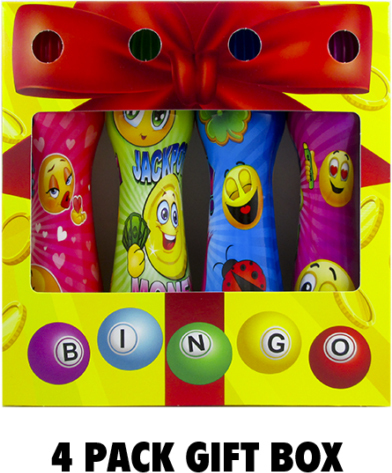 Gift Pack contain either four or six assorted color of Super Bright Bingo Markers. 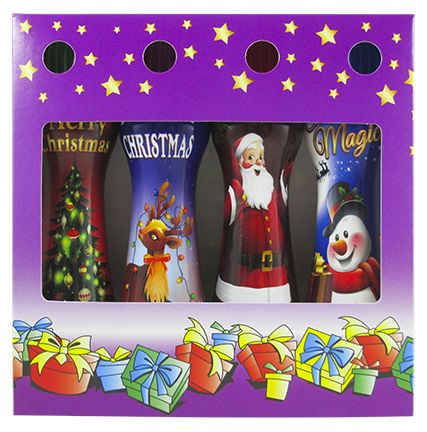 Gift Packs vary by season.